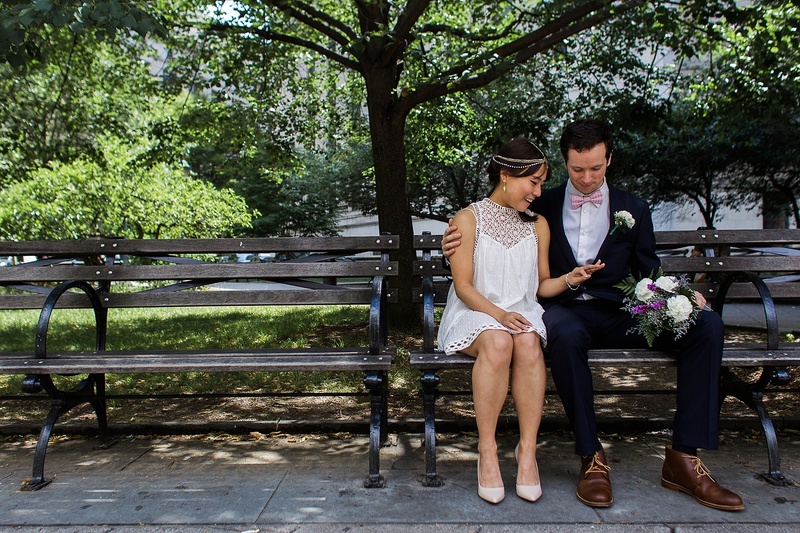 Christina and Michael got married and city hall and then celebrated by having a picnic in central park with their close friends. After the cake and champagne, we all jumped on some boats so they could read their vows and say hi to their pet turtle they had released there earlier that year. They are having their reception next year on their anniversary at the Brooklyn Winery. If you haven’t had a chance to take out a boat in central park, I highly recommend it. It’s a quiet and beautiful way to take in the city with a friend or loved one.